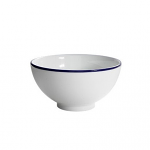 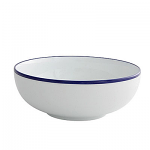 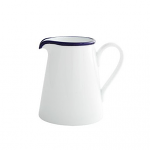 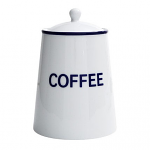 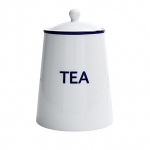 Canteen will bring a simple fresh and contemporary look to your kitchen or dining table. 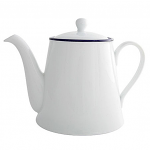 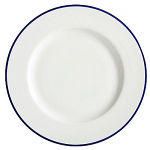 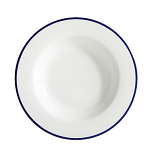 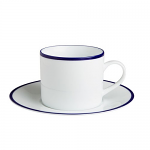 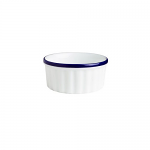 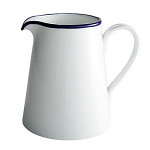 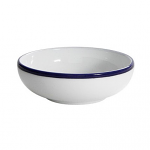 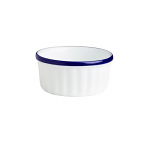 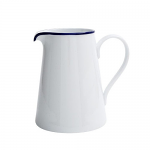 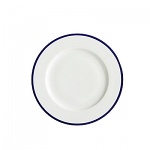 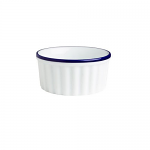 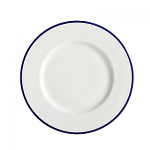 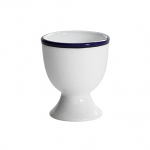 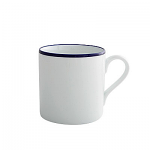 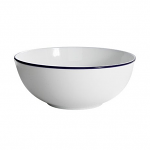 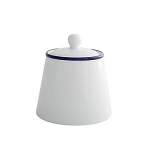 Crafted in bright white porcelain it has a narrow cobalt blue band around the rim, with a look similar to the enamel ware that Granny used to have. 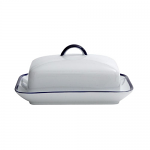 It is dishwasher, microwave and oven safe, making it ideal for everyday use and also makes a good conversation piece for a special occasion.